SACRAMENTO, CA. – The State of California’s specialized veteran’s license plates are now available for purchase online. 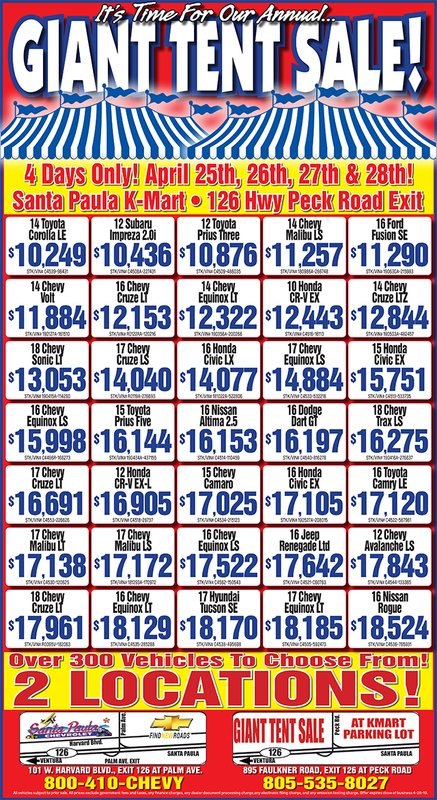 Previously, the Department of Motor Vehicles (DMV) in conjunction with the California Department of Veterans Affairs (CalVet) has offered these specialized license plates through in person and mail-in sales only. This new online system of purchasing will make it easier for all California motorists to show their support for veterans and the men and women serving in our military. These plates have several models that help honor and recognize specific veteran groups, military units and services. In addition to these plates, over 200 insignias are available to put on these plates to help signify which organizations or military affiliations each motorist represents. To view all available logos for your cars, motorcycles and trucks, go to http://www.cacvso.org/page/2011-1-19-59-license-plate-logos/. The cost for sequential plate is $30 and $10 more for personalized plates. With online sales CalVet expects the annual sales of these plates to rise. All proceeds from the sale of veteran’s plates are used to expand veteran’s service in your community. Since the inception of the Veterans plate program in 1995, approximately 24,500 Veteran plates have been issued with $6.8 million raised and distributed by the California Department of Veterans Affairs to benefit participating county veteran service offices and to commemorate veteran organizations. To purchase your plate or to learn more visit http://dmv.ca.gov/ipp2/welcome.do?localeName=en. Governor Edmund G. Brown, Jr. today appointed Peter James Gravett as Secretary of the California Department of Veterans Affairs. Gravett, of Rolling Hills Estates, is a retired major general with more than 35 years of commissioned service in the California National Guard with service in ten countries. He has been the state chair for the Southern California Employer Support of the Guard and Reserve Committee since 2007. He is currently a principal business associate at Traiden Global Solutions, where he has worked since 2008. Previously, Gravett served as president and chief executive officer of Gravett and Associates from 2002 to 2008. Before retiring from the Guard, he served as commander of the 40th Infantry Division from 1999, when he was promoted to major general, to 2002, becoming the first African-American division commander in the 225-year history of the United States National Guard. In this role, Gravett served a dual assignment in Kiev, Ukraine with the Partnership for Peace program. Previously, Gravett served as assistant division commander-support from 1996, when he was promoted to brigadier general, to 1999. In 1990, Gravett was promoted to colonel, and he served as commander of an armor brigade from 1993 to 1996, and division chief of staff from 1990 to 1993. He served as division provost marshal, military police battalion commander, armor battalion commander, division civil-military operations officer and armor brigade executive officer after he was promoted to lieutenant colonel in 1981. As a major, from 1976 to 1980 Gravett served as an assistant division logistics officer and a division transportation officer. From 1974 to 1975 he served as a logistics officer, intelligence officer and acting operations officer. Gravett also served as an armored cavalry troop commander from 1971 to 1974. He began his commissioned service as a military police platoon leader and an armored cavalry troop platoon leader in 1968. 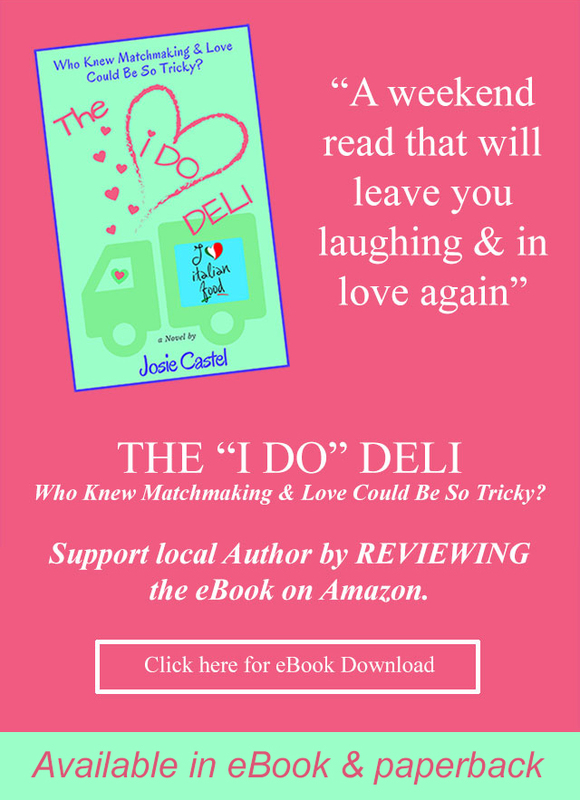 SAN DIEGO (AP) — If a Marine spots two men in his battalion kissing off-duty at a shopping mall, he should react as if he were seeing a man and woman. If he turns on the television news to see a fellow Marine dressed as a civilian and marching in a parade with a banner that reads, “Support Gays and Lesbians in the Military!” he should accept it as a free right of expression. In recognition of National Military Spouse Appreciation Day, the offices of Assembly Member Jeff Gorell, Senator Tony Strickland and Military-Families.org will host an event in Camarillo to honor the spouses of our military service men and women. The free dinner event will take place on Friday, May 6th at the Camarillo Community Center, located at 1605 Burnley Street in Camarillo. The event is scheduled to run from 5 to 8 pm, and is open to members of the public and media. 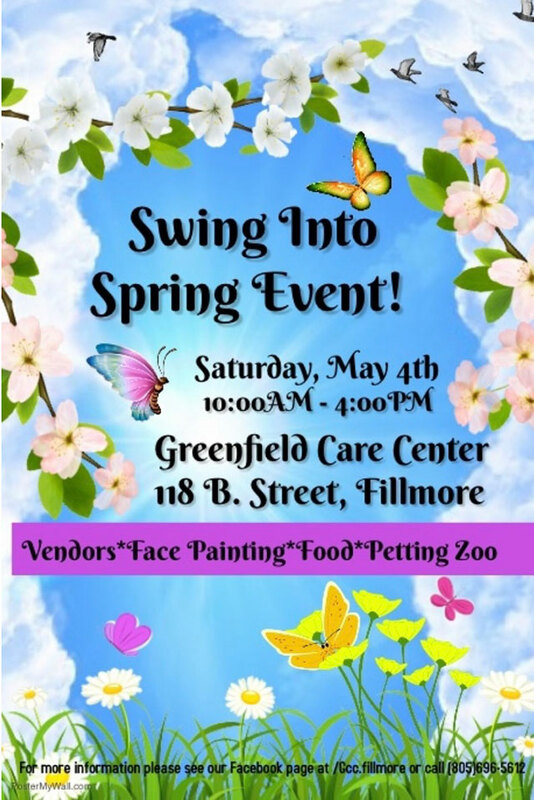 Anyone wishing to attend the event or to suggest the spouse of a Military Service Member who should be honored is asked to contact Amanda Broggie with the Office of Assembly Member Jeff Gorell at 805-230-9167. Please contact the office with your RSVPs or nominations by Wednesday, May 4th. A third generation naval officer, Assembly Member Jeff Gorell was called back to active duty by the U.S. Navy on March 18th. Since then he has reported for refresher training at Fort Dix, and is expected to deploy to Afghanistan in the next few days. He currently holds the rank of Lt. Commander with the Navy (Reserve) as an intelligence officer and has previously served a tour of duty in Afghanistan shortly after the events of 9/11. During the time that he will be on active duty with the Navy, Gorell will not be receiving his legislative salary or benefits. Senator Strickland’s father, Sergeant First Class Donald Strickland, served honorably in Vietnam and Korea with 21 years of active duty and was a member of the 82nd Airborne. While on active duty in Germany, Sergeant Strickland met his future wife Antonie who emigrated from Germany and became a U.S. Citizen in 1971. First proclaimed in 1984, the Friday before Mother’s Day was designated as Military Spouse Appreciation Day by President Ronald Reagan, and has continued to be celebrated by each of his successors. The Chinese have appeared to carry out another test flight of the J-20, the aircraft China is developing with stealth technologies. This comes shortly after Beijing has allowed state media to publish imagery of the Varyag, the aircraft carrier that China has been working on, and suggesting that that aircraft carrier is going to be deployed soon. CAMARILLO, CA. 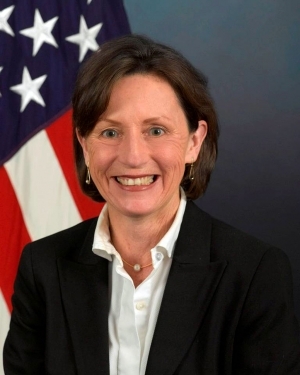 - Assistant Secretary of the Navy Jackalyne Pfannenstiel will be the keynote speaker at the 4th Annual Military Business & Community Expo, April 21 at the Ventura County Office of Education Conference Center (5100 Adolfo Rd., Camarillo). In charge of energy installations and environmental issues, her topic will be "Sailing the Great Green Fleet: How Strategic Energy Use Advances Our Mission." Assistant Secretary Pfannenstiel's message will be in keeping with the expo's overall sustainable energy theme. The Department of Navy has set a goal that by the year 2020, 50 percent of all Navy energy consumption must come from alternative sources such as biofuels, hybrid electric power systems, wind turbines, solar power and geo thermal power. The 4th Annual Military Business & Community Expo will focus on how Naval Base Ventura County is working to achieve energy success locally and how local contractors and businesses might align themselves to do business with the Navy in the years ahead. Sponsored by Ventura County Community College District and hosted by TRIAD, VCEDA, RDP-21 and the Santa Barbara & Channel Islands Navy Leagues, the expo will feature sessions on alternative fuels, energy, reducing carbon footprints and LEED certified buildings. Other conference topics will include "How To Do Business With The Navy" and "How To Get A Job On Base." A simultaneous free job fair will feature local employers, staffing services and Navy base employment opportunities. The job fair is designed to align potential candidates to positions open on base and throughout the community. "The Navy base is Ventura County's largest employer with over 17,000 military and civilian personnel,” said Bill Buratto, president of VCEDA and chair of the Military Expo Planning Committee. "In addition, it supports thousands of off-base jobs. There is no doubt that the base is an integral part of our county's economy. The Navy's focus on alternative energy and sustainability complements VCEDA's efforts to establish Ventura County as a vibrant hub for green and alternative energy business." Expo and job fair hours are 8:00 a.m. to 3:00 p.m. Admission to the expo and conference is $40 if purchased by April 15 and $50 at the door. Admission includes access to all exhibitors, presentations, workshops and expo continental breakfast and lunch. To register online, go to www.militarybizexpo.com. To inquire about exhibiting at the expo or job fair, contact Renee Smith, 805-969-5244, renee@rsvpevents.net. Elk Grove, CA. – 30,000 veterans are expected to leave military service and return to California this year. The California Department of Veterans Affairs (CalVet) is committed to helping veterans transition from the battlefront to the home front. EVENT: CalVet will hold free workshops designed to provide veterans with the necessary skills to assist in the transition from military duty to civilian life. The workshops will focus on job searching, resume building, interview skills and dressing for success. CalVet will also offer workshops to educate veterans about financial aid, scholarships and veteran benefits. The workshops are open to all veterans. WHO: CalVet Deputy Secretary for Women and Minority Veterans Barbara Ward. BACKGROUND: California is home to 2 million veterans, the largest veterans population in the United States, with this number expected to grow by 30,000 annually. CalVet wants all veterans to make this transition successfully, whether it be through career enhancement, education or utilizing veteran benefits. Ventura, CA. - Naval Base Ventura County will hold its Restoration Advisory Board (RAB) meeting from 7:30-9 p.m. Wednesday, April 6, at the Orvene Carpenter Community Center, Port Hueneme, Calif. The meeting is open to the public and provides time for public comment on agenda items or other relevant RAB issues. The purpose of the RAB is to discuss the environmental cleanup program at NBVC. The RAB includes community, regulatory and Navy members who review and discuss program studies and cleanup plans. This effort is part of the Installation Restoration Program, a Department of Defense program that works to investigate and cleanup from operations or waste disposal practices that occurred in the past. The meeting will cover updates on installation restoration projects at Point Mugu including the Gas Mask Training Area and Port Hueneme and the Installation Restoration (IR) Site 20 clean up. 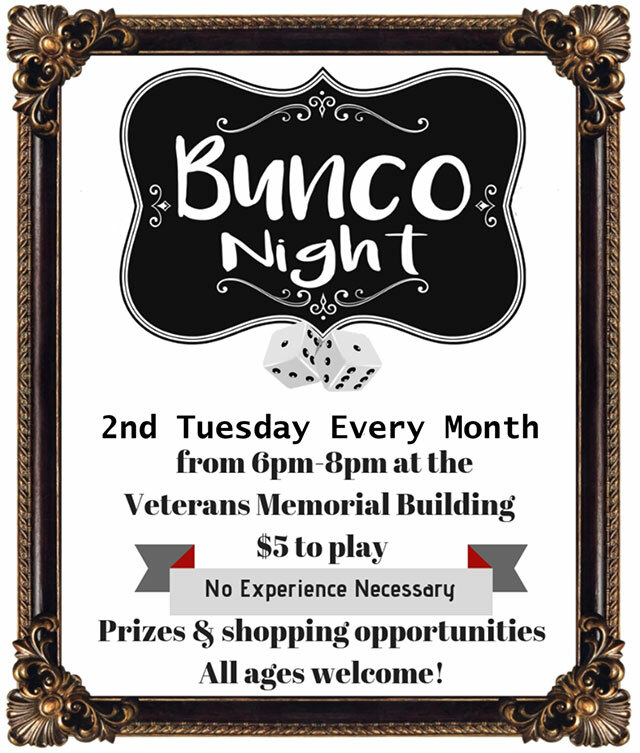 For more information contact the NBVC Public Affairs Office at 805-989-8095. It was my honor to take part in this year’s Welcome Home Vietnam Veterans Day event. Having served in the Marine Corps for 28 years, I had the pleasure of serving with many brave men and women who served in Vietnam. I can honestly say that my success as an officer in the Marine Corps was a result of the efforts and guidance of Vietnam veterans who came before me. Vietnam veterans served our nation in a critical time in history. They stood up to the threat of communism while facing criticism at home but yet they never turned their back on our country or fellow veterans. Today they are the leading voice for veterans rights…they are the giants upon which we all stand today. Today is a celebration of character and love of our society and I think a lot of it is because all Vietnam veterans have that character and love of society. So, as we look at society today, and see what is being done to help today’s returning warriors, we must understand that it is because we are all standing on the shoulders of Vietnam veterans. The Wahhabi sect of Islam is the purest and most violent form of Sunni Islam beliefs. It derives its name from the 18th Century Muslim scholar, Muhammad bin Abd al Wahhab. He taught that true Muslims had to swear loyalty to their religious leader and to follow his teachings in all ways. It also requires that those who wanted to be considered true Muslims must join in jihad (holy war). The objective of this jihad is to convert or kill all non-Muslims, and those who leave Islam. Osama bin Laden is a follower of Wahhabi Islam and founded the terrorist group al Qaeda on Wahhabi beliefs. A University of South Florida professor and six others have were charged with aiding the terrorist group Islamic Jihad. A Dallas, Texas grand jury in a 42 count indictment, arrested leaders of the 'Holy Land Foundation for Relief and Development,' charging its officals with raising more than $12 million dollars to funnel to the terrorist group Hamas. In New York, two Muslim clerics were arrested for alleged connections to al Qaeda and for attempting to purchase a shoulder-fired grenade launcher. These and many other incidents show how deeply Radical Islam has become imbedded in the U.S. 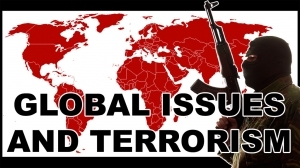 Among the primary suspects under investigation are groups financed by Saudi Arabian interests known to be making huge financial investments in the spread of the extremist Wahhabi Muslim doctrine in America. 'The Muslim Student Association,' with solid Wahhabi commitments, operates chapters on virtually every major campus in America. It has been in the forefront of organizing and executing anti- Isreal and anti-Western hate campaigns on campuses. A recent high profile example of this was the "The Muslim Student Association' gatering on the campus of UCLA. The Wahabi's brand of religious militancy is not just a matter of being of its anti-American values, it is a menace to other Muslims who do not wish to embrace the violent methods of Wahhabism. This has been demonstrated by Muslim on Muslim war in Darfur, Sudan,where Wahhabi Muslims glady attack and kill other Muslims whom they deem are not violent enough for their ideology. With the current Muslim on Muslim violence through out the Middle East, and the fact two American born citizens hold high level positions in al Qaeda and al Qaeda in the Arabian Peninsula, recruitment of 'Homegrown Jihadists' in the U.S. is rampant, and our biggest danger of attack is from within the U.S. Naval Base Ventura County, Port Hueneme, CA. - More than 150 Seabees from Naval Mobile Construction Battalion 40 (NMCB 40) will return from a 9-month Middle East deployment Friday, March 27, 2011, at 6:10 P.M. at Naval Base Ventura County (NBVC) Point Mugu. The unit is returning from a scheduled deployment directly supporting ongoing operations in the Middle East. hardened buildings for government officials, nine Tactical Operations Centers (TOCs), two 600-man tent camps, three checkpoints, twelve Combat Outposts (COPs), and completed 15 km of route improvements throughout the Arghandab and Panjawai districts. Khelegay, FOB Kunduz, and FOB Monitor (Sheberghan), closing two gaps in 4th CAB’s Medevac “Golden Hour” response capability. drilled to 700 feet to correct a health issue after bacteria was found to have infected the FOB well, Meymaneh was drilled at a depth of 300 feet to increase the production capacity of the base due to a surge in incoming forces, and the Deh Dadi II well was also drilled at a depth of 400 feet, to provide the first water production capability for the FOB. •	Constructed 35 Command and Control facilities on five FOBs. improving maintenance capabilities for numerous supported commands in preparation for the harsh Afghanistan winter. the placement 150,000 cubic yards of gravel for roads, supply yards and dust abatement on FOB Deh Dadi II. 800 m North Access Road that tremendously improved access to DDII, provided improved force protection for gate sentries and camp personnel, and ensured all vehicles could access the camp. increased the FOB’s fuel storage capacity from 50K gallons to 1.6 million gallons, establishing DD II as the fuel supply depot for RC(N). over 3,000 troops as well as the Initial Operating Capability (IOC) at DDII for the Northern Distribution Network (NDN). transportation for 2,500 passengers and moving over 800 tons of cargo to support decisive operations as well as logistics throughout the region. R(SW), including 383 pieces of Civil Engineer Support Equipment and 228 containers totaling 6.9 million pounds of equipment and material. This complex evolution was completed while resource leveling equipment assets to continue projects all the way until deployment completion. Los Angeles, CA. – California Department of Veterans Affairs (CalVet) Acting Secretary Rocky Chavez today signed Memorandums of Understanding (MOUs) with several Southern California homeless veteran service providers, giving “graduates” from their programs priority consideration for admission to the Veterans Homes of California. More than a dozen representatives from local non-profit organizations, government agencies and legislators’ offices participated in an open house where CalVet staff provided them with an inside view of the services offered at the state veterans homes and discussed housing collaboration opportunities between the area’s homeless veteran service providers and CalVet. Among the organizations that signed an MOU with CalVet are People Assisting The Homeless (PATH) and New Directions. The open house included a presentation on CalVet’s findings on where gaps exist in state services that effect homeless veterans. Upon conclusion of the presentation many of the local area organizations signed MOUs or finalized agreements for signature at a later time. SACRAMENTO, CA. – Acting Secretary for the California Department of Veterans Affairs Rocky Chavez announced today the availability of U.S. Department of Labor (DOL) Veterans’ Employment and Training Services (DOL-VETS) grants to help fund local Stand Down events. “These grants can and do play a very important part in the planning, implementation and operation of the Stand Downs that are held throughout California and it is vitally important that our partners in the communities capitalize on this great resource,” said Chavez. The CalVet Department has been working with several organizations throughout the state on helping to plan these Stand Down events. The funding for Homeless Veterans’ Reintegration Program will help off-set some of the costs associated with putting on one of these events. The grants range from $7,000 for a single-day event to $10,000 for a multi-day event. A Stand Down is an event held in a local community where homeless Veterans are provided with a wide variety of social services from state and local agencies and community-based non-profit organizations. The DOL-VETS is now accepting applications for grant awards to fund Stand Down events in FY 2011. This funding is a non-competitive grant awarded on a first-come, first-served basis until available funding is exhausted. For further information on this grant please visit the CalVet Website at www.calvet.ca.gov/Resources/StandDown.aspx or go to the following link to get a copy of the DOL Notification of Funding Availability http://edocket.access.gpo.gov/2011/2011-5347.htm. Events approved for grant funding in any fiscal year must be held prior to December 31st of the following fiscal year. For example, all Stand Down events awarded funding for FY 2011 (October 1, 2010 through September 30, 2011) must be held on or before December 31, 2011. ADVET John E. Giannelli, Jr.
Sacramento, CA. – The California Department of Veterans Affairs (CalVet), the U.S. Department of Veterans Affairs, the California National Guard and the California Commission on the Status of Women are joining forces to celebrate the accomplishments of women in the U.S. Military. EVENT: The Celebrating Military Women: Telling Their Stories event will commemorate Women’s Military History Week in California with a panel of women veterans representing several different branches of the armed forces and war eras. WHO: CalVet Acting Secretary Rocky Chavez, CalVet Deputy Secretary for Women and Minority Veterans Affairs Barbara Ward, Northern California Health Care System Associate Director John Mendoza and California Commission on the Status of Women Executive Director Mary Wiberg. BACKGROUND: The third week of March is recognized as Women’s Military History Week in California, a time to recognize and applaud the accomplishments of women who have served in the armed forces. Women have played a vital role in every U.S. war, whether officially recognized as a member of the military or not. The involvement of women in the military is more important now than ever with their increased roles in combat zones and leadership positions. Military women continue to make vast contributions in securing the freedoms we enjoy. Frank Buckles, who drove an Army ambulance in France in 1918 and came to symbolize a generation of embattled young Americans as the last of the World War I doughboys, died on Sunday at his home in Charles Town, W. Va. He was 110. His death was announced by a family spokesman, David DeJonge, The Associated Press said. Army Command Sgt. Maj. Marvin Hill, the top enlisted man in Afghanistan where 100,000 U.S. troops are deployed, said that the sessions on respecting gays’ rights will go right down to the forward operating bases, where troops fight Taliban militants. SIMI VALLEY, CA. 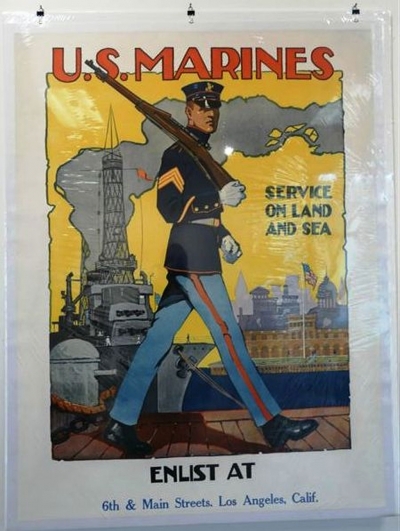 - Simi Valley Town Center announces an exhibit of rare, original military posters, art and propaganda from World War I through the present day – a collection not typically found in the Western United States. The assortment features pieces commissioned by the U.S. government to inspire pro-American mindsets and help mobilize citizens to support war efforts. The “Hooray for the U.S.A.!” exhibit is set to open with a special ceremony at 1 p.m. March 5 in Center Court, with presentations by the commander of the local Veterans of Foreign Wars post, representatives of each military branch and Simi Valley Civil Air Patrol. 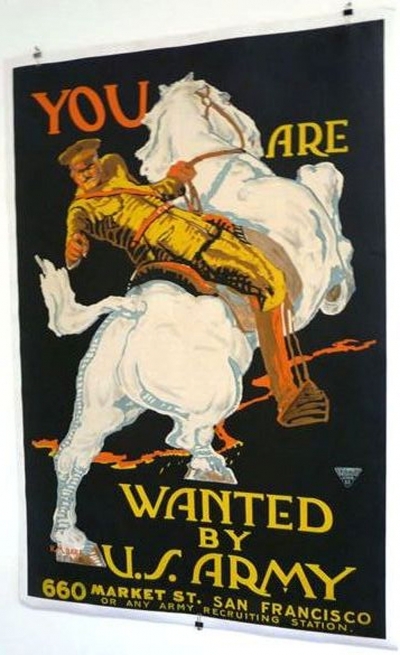 Featured will be rare military propaganda posters dating from 1915 through the 1940s, as well as other artistic pieces from other wars and conflicts through present day. About 30 World War I and at least 20 World War II historic posters – for military recruitment, urging the purchase of war bonds, offering information for families to grow food at home and more – will be displayed from the collection of Simi Valley resident Nigel Boucher. After March 5, “Hooray for the U.S.A.!” will be open 10 a.m. to 5 p.m. Saturdays and 11 a.m. to 5 p.m. Sundays through the end of May, as well as select weekday hours, in Space No. 605 right in Center Court at 1555 Simi Town Center Way in Simi Valley. It is the first time Boucher’s collection will be displayed in such a manner for public display. Such exhibits are more common in the Eastern United States, such as at the MacArthur Memorial in Norfolk, Virginia, but not on the West Coast. Additionally, some institutions and organizations provide replicas, while Boucher’s collection is comprised entirely of originals. The pieces illustrate the patriotic spirit of the period when the United States was involved in the two major wars of the 20th century. As America entered World War I in April 1917, the government immediately began producing many more propaganda posters than any other nation. The posters encompassed recruitment to the various armed services, as well as financing the war through bond issues, urging food conservation and natural resources by civilians at home, and impressing the need for secrecy regarding military operations. Today the posters show how Americans learned about the significant historic events before television, radio broadcasts, the Internet and instant news reports, Boucher said. The posters were created using a lithographic limestone or regular lithography before the common use of photography or other types of printing methods and are rare now. There is no charge to visit the exhibit, but organizers seek donations to support local veterans in need. “We have to help the veterans of Simi Valley, the ones who need food and housing,” said Boucher, who serves as Junior Vice Commander of VFW Post 10049 of Simi Valley as well as chairman of the Town Center Exhibit. Boucher and the Simi Valley Veterans of Foreign Wars Post also will arrange special displays honoring the estimated 40,000 Americans still missing in action since World War II; the estimated 150,000 Americans still either missing in action or prisoners of war; and the history of the VFW dating back to the Spanish-American War. Also planned are guest presentations on Saturdays on military topics to be announced, as well as a tribute to Gold Star mothers and families with their permission. “We’re trying to pay tribute to our local community,” said Rita Rohkar, president of the Ladies Auxiliary for VFW Post 10049. A VFW community service officer may be scheduled during weekdays to be available to assist veterans in need, Boucher said. Simi Valley Town Center is a 600,000-square-foot open-air shopping, dining and entertainment regional center. Located north of Highway 118, between First Street and Erringer Road, the center features premier tenants such as Anthropologie, Brighton Collectibles, California Pizza Kitchen, Coldwater Creek, Urban Outfitters, White House Black Market plus other retailers and eateries. Regular hours are Monday-Saturday, 10 a.m. to 9 p.m.; Sundays 11 a.m. to 7 p.m. Restaurant, holiday and department store hours may vary. For more information call 805-581-1430 or visit www.simivalleytc.com. Washington, D.C. – Congressman Jerry McNerney (CA-11) today spoke on the floor of the House of Representatives to honor Major General Roger Brautigan. General Brautigan, a 33-year Army veteran and resident of Stockton, recently retired as the Secretary of the California Department of Veterans Affairs. “Thank you Mr. Speaker, I rise today to honor a truly great American, Major General Roger Brautigan. He’s a 33-year Army veteran who has earned the Defense Distinguished Service Medal, the Legion of Merit, and the Bronze Star. “Following his military service, Roger Brautigan joined the California Department of Veterans Affairs and was appointed its Secretary in 2009. Under his leadership, the Department implemented California’s Operation Welcome Home, a groundbreaking program that matches the veterans with the services and assistance they’ve earned and need. “General Brautigan, who recently retired from California Department of Veterans Affairs, envisions Operation Welcome Home expanding nationwide so that all veterans may benefit from this important and effective program. Note to editors: This Veterans News and previous CalVet news releases, advisories, and newsletters are available on our website at www.cdva.ca.gov and via email from Jaime.Arteaga@cdva.ca.gov.